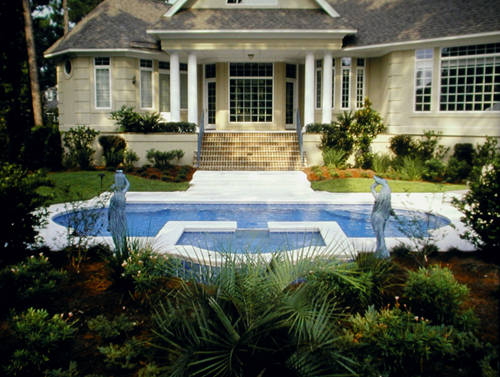 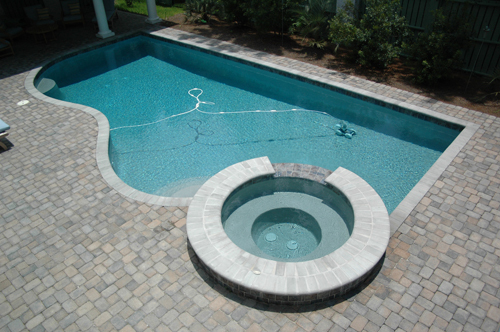 Rectangle swimming pool on Hilton Head Island built by Aqua Blue Pools. 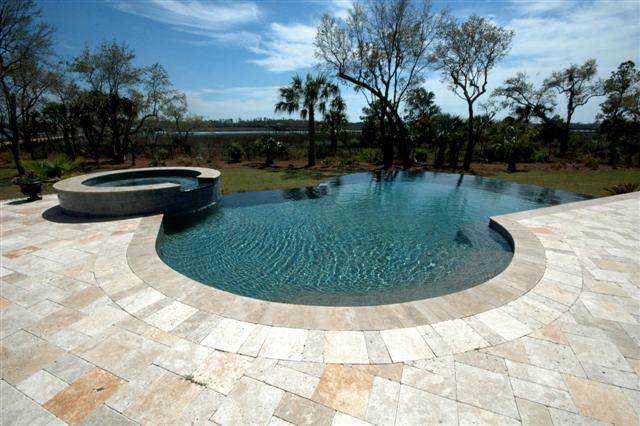 This custom pool was constructed on Kiawah Island and features a level spa with a continuous vanishing edge facing a lagoon view. 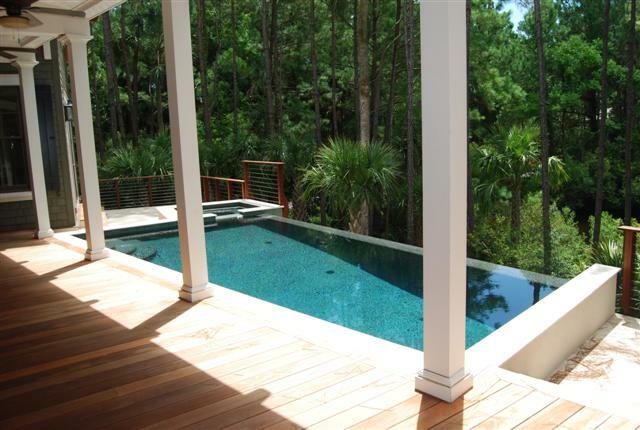 A suspended travertine deck and coping frames the dark pebble interior finish.